The Sonus Festival line-up has arrived in all it’s glory. Proving once again why it’s the leading party in the techno world, Cosmopop’s beach-side soiree can reveal Dubfire, Eats Everything, Jamie Jones, Kölsch, Cassy, Len Faki, Maceo Plex, Pan-Pot, Rødhåd, Tale Of Us and more are all aboard to join 2016’s squadron. With an already solid artillery of heavyweight selectors announced for it’s fourth outing including regular family Chris Liebing, Dixon, Joseph Capriati, Seth Troxler and Loco Dice, plus some new faces, Sonus Festival is undoubtedly THE pilgrimage that any self-pronounced techno fan. As tickets disappear faster than any year to date, it’s time to grab one now to be a part of this marathon adventure. Across five days and five nights between 21st – 25th August, Sonus attendees will get the chance to watch internationally revered DJs and live acts in beautiful surroundings. Never one to disappoint with bookings, this year is set to be the strongest yet, with Romanian talent Alexandra added, plus hotly-tipped London boys Archie Hamilton and Bas Ibellini, who’re making waves recently with their masterful selections and seamless sets. Quenum and Cesare vs Disorder play under their Azimute alias, a project that connects the dots between all corners of intelligent dance music. Bella Sarris also joins Sonus again. Bunte Bummler brings a flavoursome blend of deep-house favourites to Pag Island, whilst Rawthentic boss Carlo Lio presents hypnotic tech grooves sure to captivate Zcre ravers. Respected the world over for her seamless productions and unbeatable sets, Sonus family member Cassy will hold it down like only she can do. Dubfire appears at Sonus for the first time, whilst Eats Everything and FUSE head honcho Enzo Siragusa promise hands-in-the-air party vibes. Long-standing heroes of the minimal and progressive scenes, Extrawelt will perform an iconic live set, plus local Croatian legends Felver, Jan Kinčl Zero and Jogarde return to throw it down on home turf. Also set for epic crate-digging sets are Fernando Costantini, local heads Homeboy and Mariano Mateljan, plus veteran producer / selector Ian F.
Another family member set for a grand return is Jamie Jones, who’ll step up with his trademark selection of deep cuts, plus Len Faki, undoubtedly one of the most iconic names in techno. As if that wasn’t enough, representing across the five days are Dutch rising star Joey Daniel, Kompact affiliate Kölsch, dub-tech adventurer Konstantin, as well as Karotte, a true master on the decks with a career that spans across three decades. Deeperfect label owner Leo Aguiar, Italian house don Leon and regulars MEAT play a part in the madness, as well as underground protagonist Nick Curly, a man who sits at the heart of the Mannheim scene. Time Warp / Sonus stalwart Maceo Plex will bring his usual slick beats to his Sonus debut at the Adriatic coast. Expect a string of cosmic wonders from Berlin crate-digger Nicolas Lutz and a classic journey through the underground from esteemed duo Pan-Pot, whilst RPR Soundsystem kings Raresh and Rhadoo bring their soundsystem to the Sonus arenas for a relentless set of energy. Recondite makes a welcome return with what promises to be a stunning live show featuring tripped-out visuals, as well as Dystopian founder and man of the hour Rødhåd, an artist going from strength to strength. Italian figurehead Sam Paganini spins dubbed-out main room sounds, whilst nu-school Mannheim duo Sedee will prove why their fresh cuts are already putting them in the major league. Steffen Deux is another Mannheim head who’ll be making the trip to Time Warp’s sun-edition this year, whilst rounding off the already impeccable bill are one of the biggest electronic duos in the world right now, Tale Of Us, and one of the founding fathers of Slovenian techno, Valentino Kanzyani. And of course, this is all on top of the mammoth list already announced, including Parisian supergroup Apollonia, Binh, Chris Liebing, DeWalta, Dixon, Jackmaster, Joseph Capriati, Loco Dice, Luciano, Ricardo Villalobos, Seth Troxler, Zip and more. 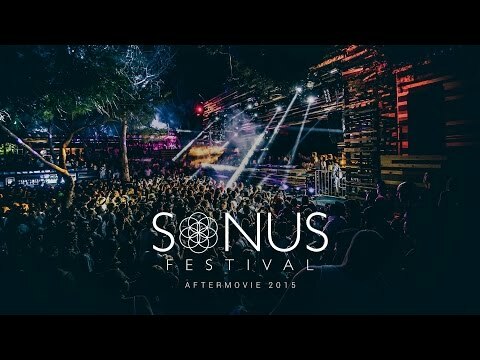 Using only the best soundsytems the world has to offer, Sonus Festival has in four years become a serious contender for the most impressive event in Croatia’s star-studded festival crown. It’s a marathon celebration of epic proportions, a chance for ravers to unite; loosing themselves in the music, discovering new artists and making memories across five sun drenched days and hazy nights in the glorious Adriatic setting of Zrce Beach. Easily accessible from Zadar, Split and Zagreb, Zrce Beach is the perfect home for a week of summer debauchery, the venue widely known for being a hedonistic haven for international festival-goers. High-calibre artists, daytime beach parties, three open-air clubs on-site, endless after parties and of course, the legendary sun-kissed boat parties will once again make Sonus the go-to choice for the real techno lover. DJ MAG pronounces Papaya 11th best club in the world!